With over 35 years combined experience, the team at Elevate Storage Solutions are providers of professional, tailored, cost-effective storage solutions to a range of sectors throughout Ireland. 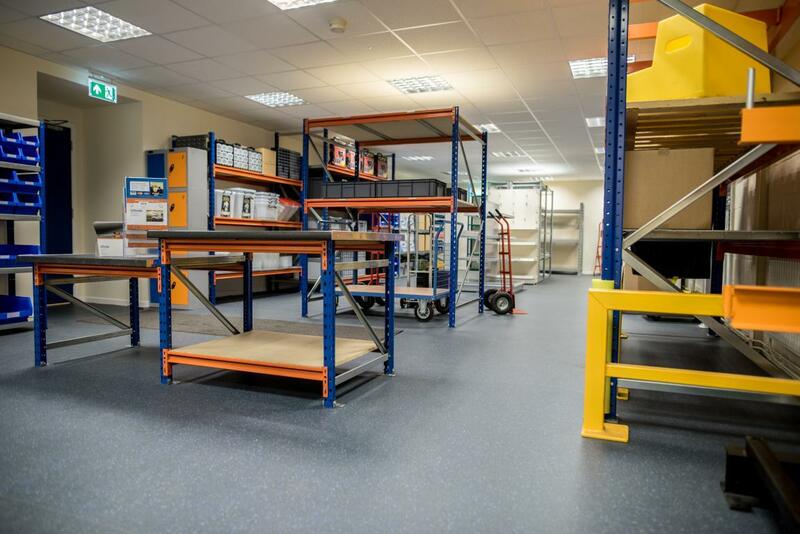 Based in Mallusk, Elevate Storage Solutions Ltd are the biggest stockists of new and used storage equipment in the greater Belfast Area, serving all of Northern Ireland and further afield. We have the experience, knowledge and resources to design, supply and install a wide variety of storage solutions for all applications. Please take time to browse through the different sections and have a look at the photographs showing our wide range of products and completed installations. As you can see, we are not just talking about it… we are actually out in the marketplace doing it! Our recently refurbished and expanded showroom allows customers to view and trial many of our best selling products. The showroom is open Monday – Friday from 8.00am – 5.00pm and our sales team are always keen to deal with enquiries. Many of the products on display are available to purchase directly from our trade counter area with the minimum of hassle.